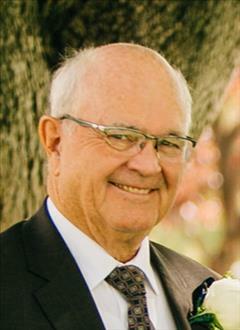 Franklyn Glenn Anderson, 76, passed away peacefully on Thursday, January 17, 2019 in Salt Lake City, Utah. Glenn was born March 15, 1942 in Ontario, Oregon to Rodger and Lynette Anderson. He was the third of eight children. He grew up in Nyssa, Oregon and graduated from Ontario High School in 1962. He attended Ricks College and graduated from Boise State University with a degree in electrical engineering. As a boy he learned to work with this brothers as they helped their father on different jobs, which often involved electrical work. He would pull conduit under buildings for 25 cents an hour. This early exposure to work started a lifelong love of engineering, creativity, and industriousness that served him throughout a long professional career in manufacturing. Glenn married Donna Kay Gerber on January 21, 1966 in the Idaho Falls Temple. Glenn and Donna have been married for 53 years. They are the parents of four children Raymond, Janice, Wayne and Derk. They have 13 grandchildren and two great-grandchildren with another on the way. They lived in Seattle, Washington, Phoenix, Arizona, Ontario, Oregon, and Pocatello, Idaho. Glenn spent the majority of his professional career working in innovative roles at Ore-Ida Foods and Heinz. He was often given creative control to produce, restructure and create equipment that would enhance the efficiency and success of many product lines. He was a trusted manager who fostered loyalty with his employees and colleagues. Family was very important to Glenn. He loved his grandchildren and cherished the time that he had with each of them. Glenn enjoyed outdoor activities including fishing and hunting and golf. He taught his boys how to hunt and fish and would spend as much available time with them at favorite places each year. Work was important to him, and he taught his kids the value of hard work. Glenn made many friends over the years that lasted beyond locations. He stayed in contact with neighbors, friends, and work associates and treasured these relationships always. Glenn was a faithful member of The Church of Jesus Christ of Latter-day Saints. He served in many callings including Bishop, High Counselor, and for the last twelve years as the Stake Patriarch of the Pocatello Idaho Stake. He loved his opportunities to serve others in the church and valued the time he could spend with people. Giving service was important to him and he used his talents, work ethic, and generosity to bless others with his time and means in many ways to people he knew well, or had often just become acquainted with. Glenn is survived by his wife Donna, his son Raymond (Janna) of Boise, Idaho, daughter Janice (Tim Kunz) of West Jordan, Utah, son Wayne (Tammie) of Boise, Idaho, and Derk of Nampa, Idaho. His survivors also include his 13 grandchildren, two great-grandchildren and one on the way. He is also survived by his siblings: Richard, Carol Lawrence, Lynn, Duane, Becky Wheeler and many nieces and nephews. He is preceded in death by his parents, a brother, Sherman, sister, Darlene and daughter-in-law, Carrie Crandall Anderson. Funeral services will be held on Friday, January 25, 2019, at 12:00 PM at the Portneuf building of The Church of Jesus Christ of Latter-day Saints. A viewing will be held on Thursday, January 24, from 7-9 PM at the Cornelison Funeral Home and prior to the services on Friday from 10-11:30 AM. Interment will be Saturday, January 26, 1:00 PM, Rosedale Cemetery, Payette, Idaho.